Yesterday Davey and I took Buster for his first bath. 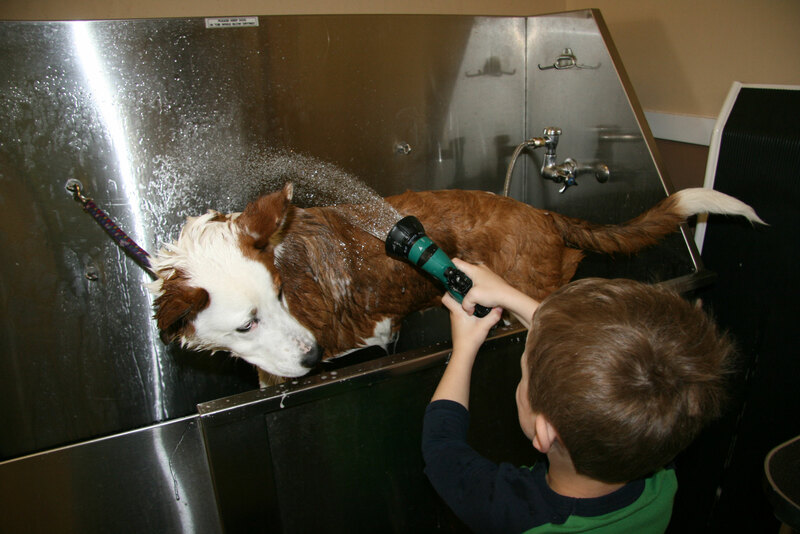 David and I had many years of giving the dogs baths in the backyard or in the tub. It always involved a lot of bending and pain to our backs. 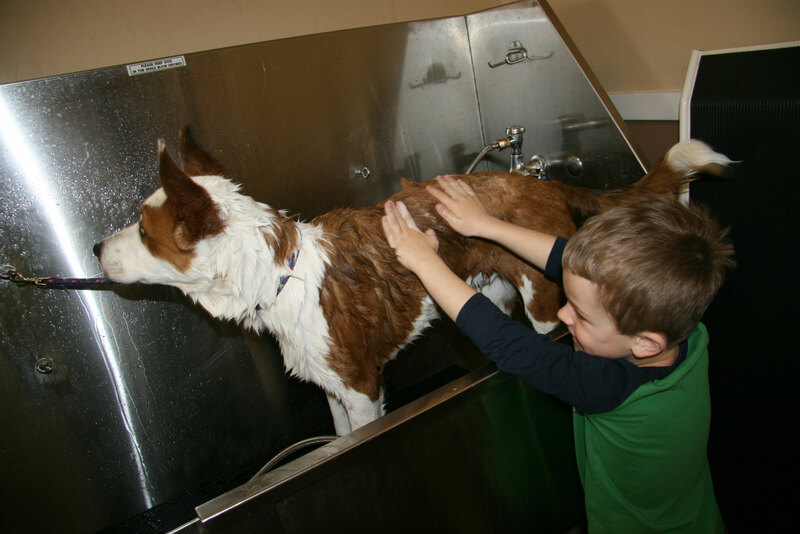 So when I learned about the “Self-Service Dog Wash”, I was ready to give it a try! Davey and I went to check it out. It was great. The tub was elevated. They provided shampoo, conditioner, towels, aprons (for Davey and me – but we didn’t really think we needed them. Well until Buster started shaking the water off, and then we were wishing we had them on), and blow dryer (that was a disaster. I turned it on for 5 seconds, and poor Buster did not like it one bit. We quickly turned it off and went for the towel dry). Davey was a great help. 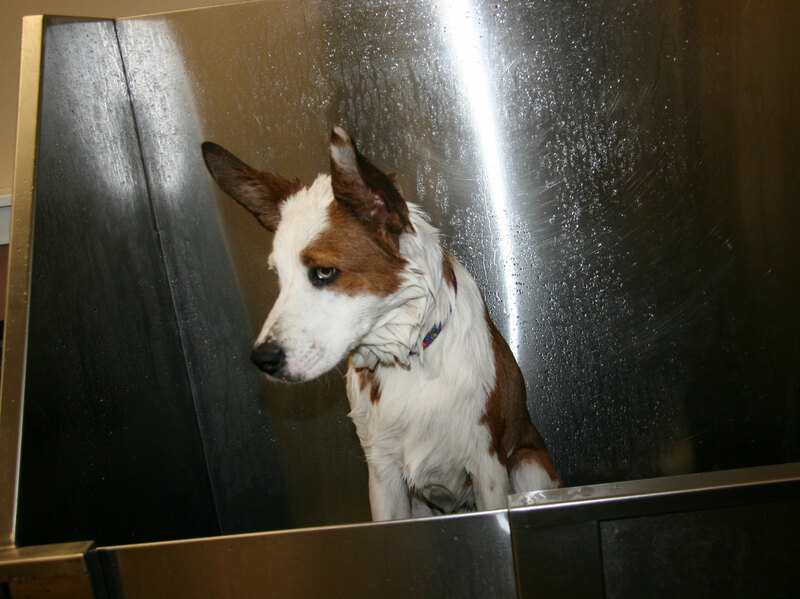 After we got Buster sprayed down, Davey helped scrubbed the shampoo in. Buster tolerated all of this really well. I think he kinda liked the warm spray although I’m not sure what kind of look he is giving Davey here. He finally had had just about enough I think. To make matters worse, Davey had momentarily deserted him so he could play with another dog. This didn’t make Buster too happy. He looks rather forlorn here. What a clean dog though. 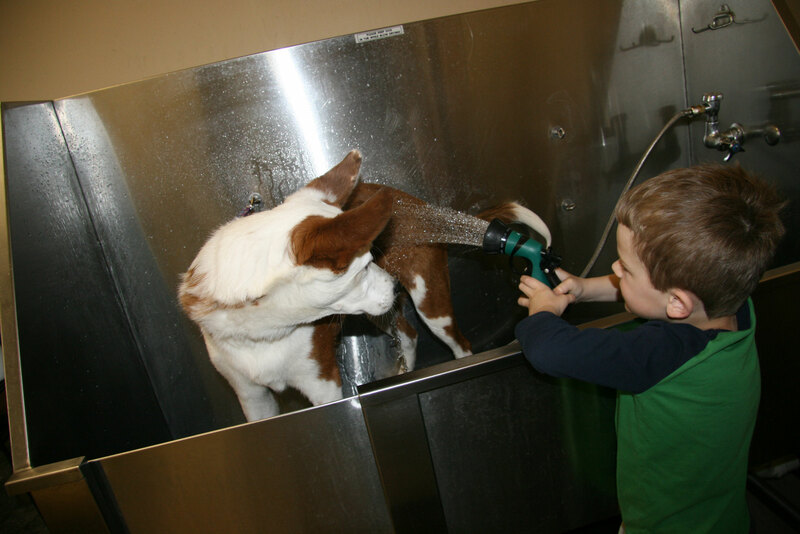 Self-service dog wash – awesome way to go. And then today Davey had soccer. Davey really enjoys his soccer games. He always hustles and tries, but he is as happy when a teammate scores as when he does. Today I noticed Davey stopping to talk to a little boy from the other team. It was right after Davey’s team had made a goal. Davey and the little boy paused in the middle of the field, Davey talked to him for a second, and then I saw him shake the little boy’s hand. Sweet boy. I had to write that story down. That’s a great Davey story.